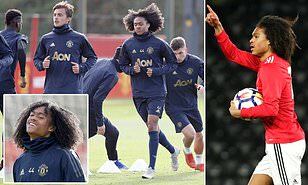 There was an unfamiliar face in Manchester United‘s first team training session on Monday as Tahith Chong was given a promotion by Jose Mourinho. The 18-year-old starlet, who joined United from Feyenoord in July 2016, could be in line to make his first competitive senior appearance for Mourinho’s side after training with the likes of Paul Pogba and Romelu Lukaku ahead of their match with Juventus. 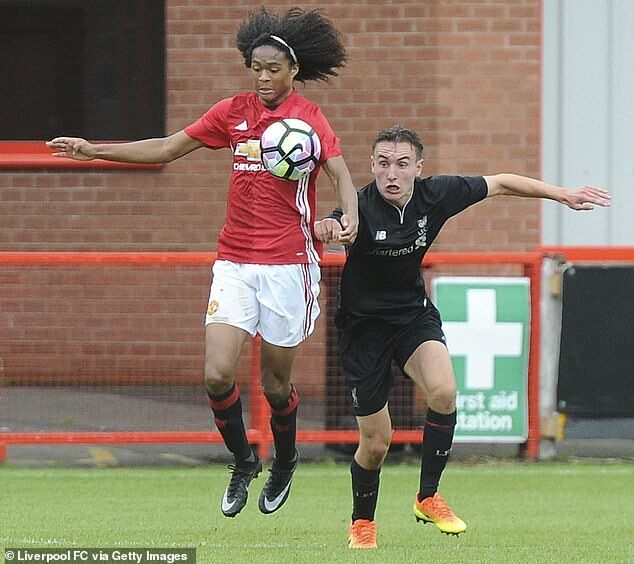 Chong impressed under Mourinho during United’s pre-season tour of the United States where the Curacao-born winger was given 94 minutes to impress the first team coaching staff. And he did not disappoint during run-outs against Liverpool, Club America and San Jose Earthquakes. 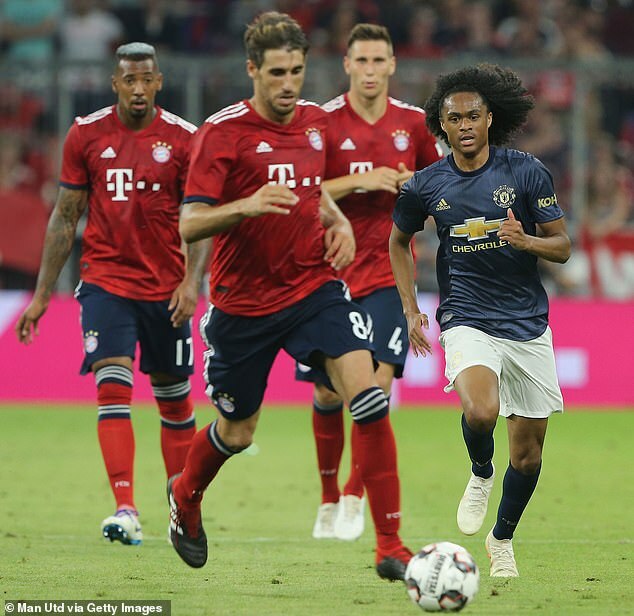 After United returned to Europe to complete their pre-season schedule, Mourinho decided to keep Chong in his ranks and the flying winger came off the bench to face Bayern Munich. With Alexis Sanchez not training with the first team despite arriving at United’s Aon Training Complex and Jesse Lingard out injured, Chong could be given a surprise place in United’s 18-man squad for Tuesday’s match. 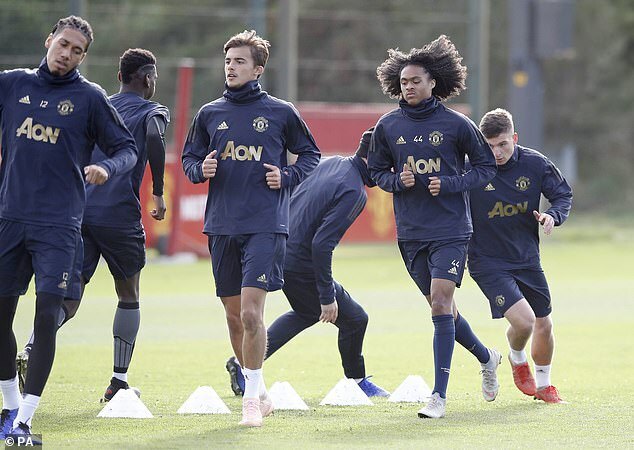 Marouane Fellaini, Diogo Dalot, Phil Jones and Scott McTominay all missed the session – leaving Mourinho slightly short of first-team options. Chong, who was born six months after the Red Devils won the Treble in 1999, was added to United’s Champions League squad in September and has an admirer in Mourinho’s camp. 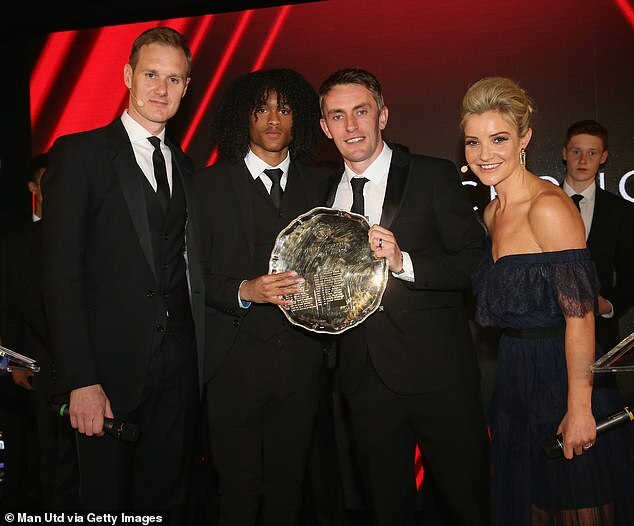 First team coach Kieran McKenna knows all about Chong having worked alongside the hot prospect during his time at United’s Under 18 manager. 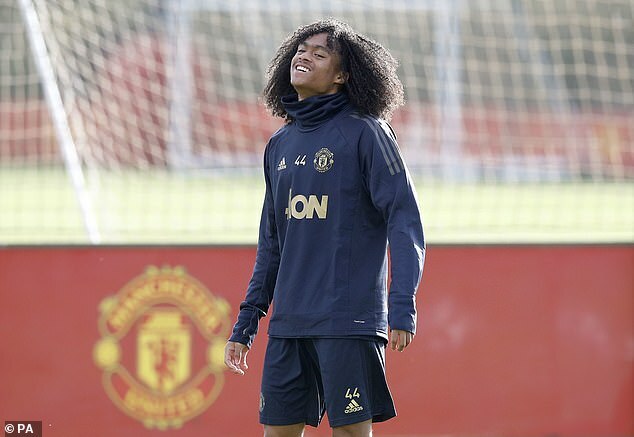 McKenna said of Chong back in 2016 after United’s Under 18s were beaten 2-1 by Southampton: ‘Tahith is a really good talent and a really good lad. ‘We knew that he would be a big asset off the bench. ‘The early stages of the game played out like we thought, a little bit cagey and not a lot of space. ‘But we knew that once it opened up he would be really effective one to come on and he’s scored a really good goal. ‘I’m sure than when the disappointment of the game goes away, he will enjoy that moment. 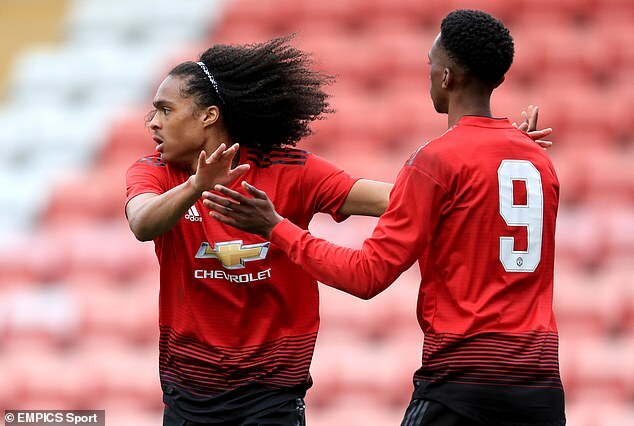 Chong, who was named United’s Jimmy Murphy young player of the year in May, will be full of confidence as the attacker netted a brace against Sunderland’s Under 23 side on Friday.